Talk of Holi and the first picture that comes to our mind is playing with colors. 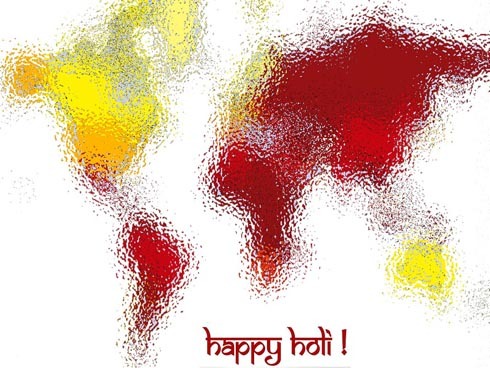 Holi is all about making natural colors and playing with natural colors. By making colors from natural materials we get close to nature. When we play with colors we drop our ego, anger, jealousy and become pure. We are so immersed in the play that we forget everything – this is the state that we try to attain through meditation – a thought free state. Holi is specifically observed during this period because it is the period of numerous skin diseases. The gulal or natural colors that are thrown help in checking the disease carrying pathogens. It also helps in protecting the skin. Holi also teaches us that religion is not all about prayer, and more prayer…it is not all seriousness. There is place for fun and frolic. Holi teaches us that there should creation, enthusiasm, renewed energy, forgetting the bad past, starting afresh, hope in daily life. Just go out and join in the riot of colors…thoughts and teachings can wait…. How to make natural Holi colors at home?